Do you have a high salary, own a business, own real estate, have capital gains, or generate a lot of income from assets? If any of these apply to your financial situation, you’re going to want to pay attention because here are seven different tax reduction strategies for high income earners that can help you to pay even less in income taxes in the future. 401(k) or 403(b): If you are an employee and you have an employer-sponsored 401(k) or 403(b), in 2019 you can contribute up to $19,000 per year of your gross income. Your contributions come straight off your paycheck before it’s taxed, and the money goes tax-free into the 401(k) or 403(b). If you’re 50 and older, you have $6,000 catch-up, so your annual contribution limit is $25,000. SIMPLE IRA: A SIMPLE IRA is a pretty good, inexpensive plan for a business that has employees but doesn’t want the expense of a Safe Harbor 401(k) or a regular 401(k). The annual contribution limits are a little bit lower though – $13,000 in 2019, or add another $3,000 if you’re 50 and older, so you have a $16,000 annual contribution limit. Solo 401(k): High-net-worth individuals that have self-employment income, and it’s only you, or you and your spouse, can set up a Solo 401(k). This allows you to do the same annual contributions as a standard 401k) – $19,000, or $25,000 if you’re 50 and older. Defined Benefit Plan: Finally, a defined benefit plan tends to work a little bit better if you’re a little older, maybe mid-40s, 50s, 60s and you have a highly profitable business. You can put quite a bit of money into these types of plans. It’s not uncommon, particularly when you set up a defined benefit plan in your 60s to be able to get $200,000 or more going into the plan – and that’s a dollar-for-dollar tax deduction. If you are self-employed make sure you think about these plans. I think a lot of readers know that a Roth IRA is a type of retirement account that grows tax-free. With a regular retirement savings account, you put money in, you get a tax deduction. The money grows over time, then when you pull the money out, you pay taxes on the entire amount that you withdraw. A Roth IRA is a little bit different than a traditional IRA. You do not get a tax deduction when you put it in, but it grows tax-free, and any money that you take out of a Roth is 100% tax-free. The IRS will allow you to take some of your existing IRAs or 401(k)s and convert them to a Roth IRA. And the nice thing about that is, once it’s in a Roth, all future taxable income, economic growth, and principal, is now tax-free for you, your spouse, and future generations – it’s a permanent tax-free account. a business owner has a really successful tax year, followed by a year that generates less income, putting them in a lower tax bracket. That might be a good year to do some Roth conversions. Or a high wage earner retires and is temporarily in a lower bracket until they reach age 70 and a half and must make required minimum tax distributions. These are just some of the situations where a Roth conversion might make a lot of sense when doing a retirement plan or year-end tax planning . There is one catch though, you have to pay taxes on the conversion, so make sure to plan your conversions carefully. Look at your tax brackets and see if a conversion actually makes sense for you. Also, new in 2018, you can no longer re-characterize your Roth IRA conversions – they’re now permanent. So be sure to double-check your math and make sure you really want to do that Roth conversion because it cannot be undone. One of the tax reduction strategies for high income earners that I think a lot of people don’t fully understand is selling inherited real estate. When you inherit real estate, particularly in the state of California with community property rules, you get a full step up in basis, making your property tax go up. For example, your parents bought a home for $100,000, and now it’s worth $1 million. If they were to sell the home, they would have a $900,000 gain ($1 million minus the $100,000.) If they both pass away, and you get the property, it’s still worth a million dollars, but your cost basis for tax purposes is stepped up to $1 million. If you sell the home very soon after they pass, say within a year or whatever, there’s little or no gain, because you have a new cost basis. If you sell it for $1,005,000, you only have a gain of $5,000 because you have a $1,000,000 step up. Notice that a lot of children or beneficiaries that inherit real estate do end up selling once they learn the step up in basis rule take advantage of the tax deductions. Some people don’t know about this and they end up holding on to property they don’t really want, not realizing there’s no property tax consequence. Have some questions regarding your situation? Sign up for a tax reduction analysis today. In all honesty, taking advantage of a donor-advised fund is probably one of the best strategies to reduce taxes for high income earners because it allows you to take current and future year contributions and deduct them all in the current year. Set up an account with a custodian, such as T.D. Ameritrade, Schwab, Fidelity, a brokerage firm, or the like. They will have a special kind of account, a donor-advised fund, where as soon as you put the money into it, it becomes a charitable tax deduction. It doesn’t mean the money goes to charity – you’re the trustee. You get to invest the funds however you want. You also get to decide what charities receive whatever amount you want in that year, and in future years. If you were going to give $10,000 a year to charity for the next 10 years, that’s $100,000. If this year you’re in the highest tax bracket you’re ever going to be in, this might be the year to get that tax deduction. Put $100,000 into a donor-advised fund, get a full tax deduction up front while you’re in the highest bracket, and then you dole out $10,000 per year to charities of your choice. To make utilizing donor-advised funds even more effective, don’t donate cash. Instead, donate your appreciated stock held outside of retirement accounts. Whatever the stock is worth on the date of the donation or the contribution into this account is tax deductible, and you don’t have to pay tax on the gain on sale, making it a double benefit. Just a few items back we talked about selling real estate being a great tax management strategy. But maybe you like real estate. And actually, investing in real estate is a great way to save money on taxes too. Let’s say you purchase a million-dollar property – a four-plex in California, for example. You have to allocate the property between land and buildings. Let’s say the building part is worth $750,000 or 75%. You get to depreciate that, or deduct a piece of that property, over 27 and a half years, which means you’re going to get a $27,000 depreciation deduction, each and every year. Now if you take your rental income minus your expenses, and if you have $27,000 of profit, guess what – you can pay zero tax because you get that depreciation deduction. And that’s going to last for the next 27 and a half years. If you love real estate, why not buy 10 $1 million properties? Now you get $270,000 of depreciation deductions – in other words, tax-free income. There are some limitations. In order to take these deductions, either you or your spouse need to be a real estate professional. That means you have to work 750 hours a year, and it has to be the majority of your time. If you’re working full time in a job, 2,000 hours per year, you would have to work 2,001 hours in your real estate investments to be able to qualify for this, which is probably unrealistic. But if you or your spouse are not working, maybe they can be the real estate professional, so you can take advantage of these deductions. Realize this is a federal tax law, not true in California, so you will still be paying taxes in California. Small business owners and rental real estate investors, listen up! Brand new for 2018 is the section 199A deduction, where you get to deduct up to 20% of the profits of your small business or your rental real estate. This is a deduction, it’s not a tax credit. In other words, your business makes $100,000, 20% of that is $20,000, so that’s a deduction. If that’s your only income, you end up paying tax on $80,000, not $100,000. This was made law because, as you probably heard, they lowered the C-corporation tax rate, but they didn’t want to leave out the small business owners. A small business owner is defined as an S-corporation, LLC, partnership, sole proprietorship, and believe it or not, rental real estate investors. 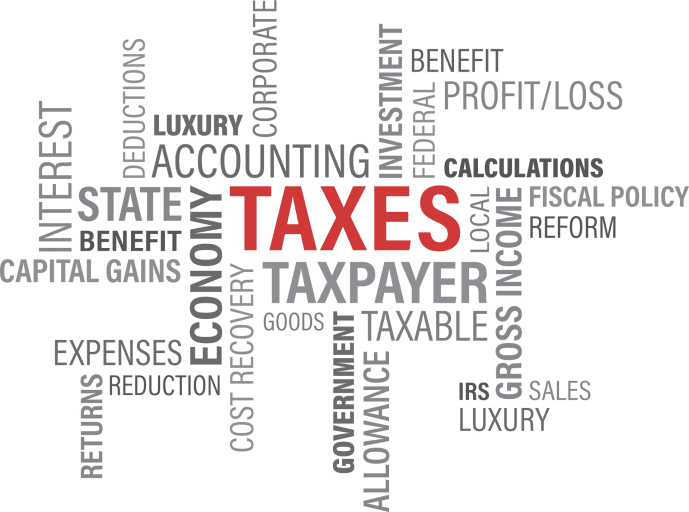 All individuals that own these types of businesses can qualify for this 20% tax rate deduction – however, there are limitations if you own a service business. Single service business owners start getting that 20% phased out with a total taxable income over $157,500. The phase-out is $315,000 for married couples. If you’re not a service business, let’s say you’re a manufacturer of some kind of product. That’s not a service business, so you don’t have those limitations. There are other limitations to consider, so there is a fair amount of tax planning involved. But overall, section 199A deductions are a great way to reduce your taxes. Remember, it’s a tax deduction, not a tax credit. Therefore, in my example $100,000 of profit, $20,000 of deduction, then you pay taxes on $80,000 at whatever your tax bracket is. I’d always rather have a tax credit, but we are offered a tax deduction, so take it if you’re eligible. These are just a few tax reduction strategies for high income earners. Check out our blog on 10 tax efficiency tips to learn even more.